In celebration of Oceana County's most famous crop--the National Asparagus Festival of Oceana County is an annual event, held in mid-June in Hart and Shelby. 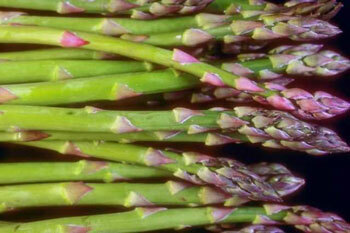 Asparagus was first cultivated in Greece, and is derived from the Greek word meaning "stalk" or "shoot." Asparagus is perhaps a lesser-known vegetable than broccoli or carrots, but its nutritional value is one of the highest. It is a good source of folic acid, potassium, and fiber, contains no fat or cholesterol and has less than 5 calories per spear. Fresh asparagus can be steamed or boiled for 5-8 minutes, so preparation is fast and easy. Only California and Washington produce more asparagus than Michigan. Here's what planned for 2019. Check back for updates. Asparagus Queen Pageant & Fundraiser, Crowning of Asparagus Queen. Doors open at 5:30pm, Queen Pageant at 7pm. Shelby High School Auditorium. Arts & Crafts Fair, Oceana County Courthouse lawn, 10am-6pm. Family Entertainment: Outdoor Movie, tent State & Main streets, 6pm. Ryan Walsworth Spear-It 5k Run, Silver Lake, registration 7:30am, race at 9am. Arts & Crafts Fair, Oceana County Courthouse lawn, 9am-5pm. Taste of Asparagus, Knights of Columbus Hall, 11am-1pm. Kidz Zone, downtown Hart, 11am-2pm. 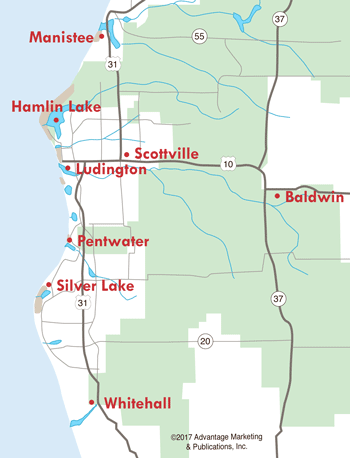 Joan Glover NAF Royale Parade, starts at Oceana County Fairgrounds, ends near Hart Commons, 2pm. Post-Parade entertainment by Scottville Clown Band, tent State & Main streets, 3:30pm. Kidz Zone, downtown Hart, 3:30-5pm. Fly-In Breakfast, Oceana County Airport, Shelby, 7:30pm-12noon. Events are listed according to the information available at the time of the most recent update to this schedule. The schedule is subject to change. Check for updates at National Asparagus Festival. It's a Jeep Invasion at the Silver Lake Sand Dunes!